Free 24 Hr Rush Service...Order Today, Ships Tomorrow! 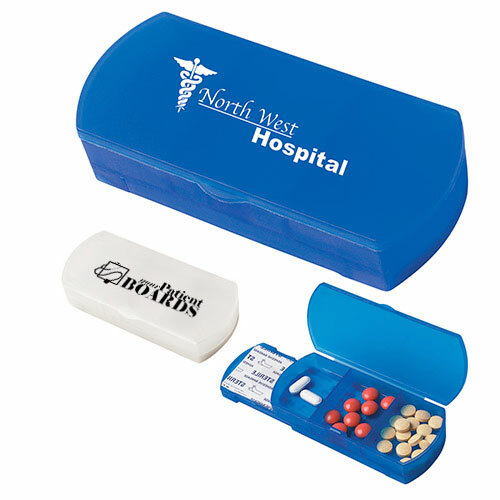 If you like our Original Bandage Dispenser, you will love our updated Nuvo Bandage Dispenser! Equipped with 5 colored bandages - this is a must have! 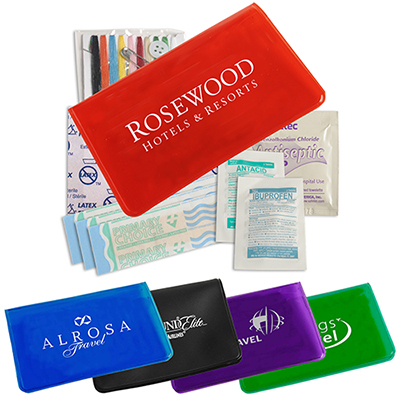 Whether you are from the healthcare industry or not, the Nuvo Bandage Dispenser with Fashion Bandages is a unique promotional gift for your clients. 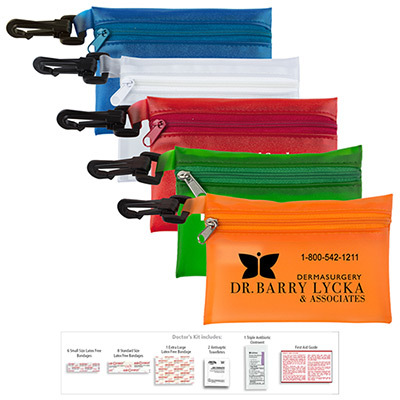 Each colorful bandage dispenser comes with 5 colorful custom bandages as standard. 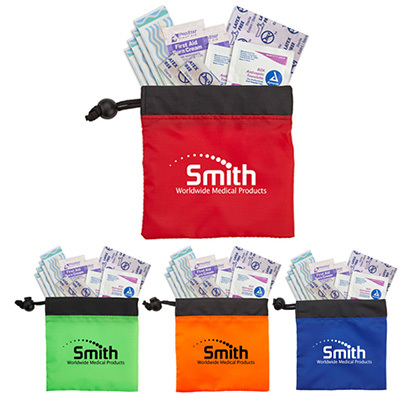 These imprinted bandages are latex-free while the dispenser is made of styrolux plastic. 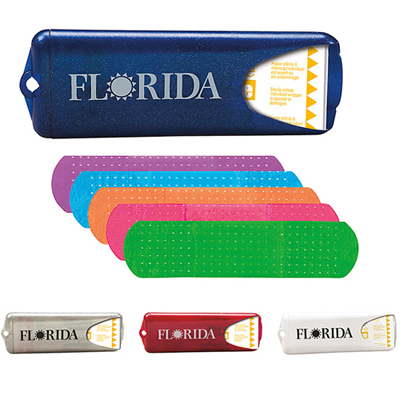 Show that you care by giving your clients this Nuvo Bandage Dispenser with Fashion Bandages. Place your order now! Add flair to this stylish dispenser with brightly-colored bandages!